An interesting interview with Jason Crusan, NASA’s Director, Advanced Exploration Systems Division about crowd-sourcing. NASA is leading the way in turning ideas an innovations over to its fans. Jason Crusan, NASA’s Director, Advanced Exploration Systems Division explains why, and how. How was the year 2012 for Linux? 2012 has been another year of records for Linux. The operating system is the fastest growing platform across multiple industries and is inspiring new projects every single day. Join us as we review this amazing year and celebrate Linux and its global community of developers, contributors and sponsors. For more information about Linux, please visit http://www.linuxfoundation.org and http://www.linux.com. Canonical announced the future of Ubuntu for smartphone devices, including Ubuntu for Phone and Ubuntu for Android. Ubuntu for Android or your phone is the PC ! How would you like a PC that fits in your pocket? Image credit to http://www.ubuntu.com . In this age, how do we answer to this question, posed by Alan Watts ? In an interesting shot video from RSA we find an answer to the question whether brainstorming really works. This is the question psychologists have been baffled by for nearly half a century and we’re still on the path of discovering whether brainstorming is a technique that extracts the best out of people or if it’s a method that suppresses creativity. Journalist and author, Jonah Lehrer, argues that brainstorming produces less original ideas than those people who work by themselves. From Alex Osborn, the father of brainstorming, to Charlen Nemeth, Jonah explains why brainstorming just doesn’t work. A BackTrack 5 R3 review from Linux Action Show. 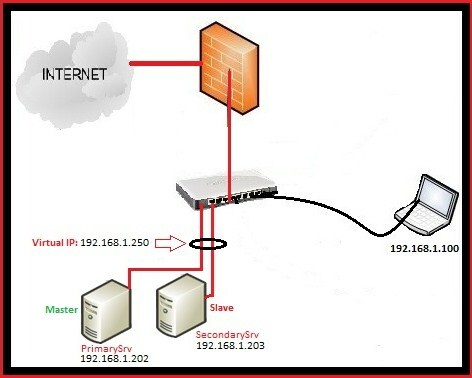 We use BackTrack 5 R3 to hack a remote box, and get root access. We cover the high and low points of the security toolbox distribution. Plus – The outreach from the Linux community helping one of our own receive life saving medical treatments. I have a Fedora Linux Guest OS in a VmWare Player. The hard drive on the virtual machine (*.vmdk file) got to big and I was looking for a way to Compact it. The compact operation from VmWare Player->Virtual Machine->Edit Virtual Machine Settings->Hard Disk->Utilities->Compact did not do the trick. Assuming the VmWare virtual disk is not pre-allocated and the filesystem is ext4 you will have to manually prepare it to be shrunk. Wait for the command prompt to return and then shutdown the VM and then from the Virtual Machine Settings for the Hard Disk select the Compact command from the Utilities button. The solution worked like a charm. An interesting interview with Linus Torvalds by BBC. 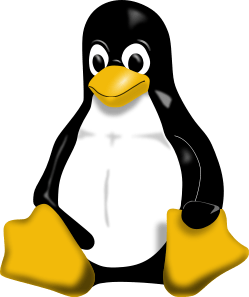 He has been nominated for the award in recognition of his creation of the original Linux operating system and his continued work deciding what modifications should be made to its kernel – the code that lets software and hardware work together. Today variants of the system power much of the world’s computer servers, set-top boxes, smartphones, tablets, network routers, PCs and supercomputers. The interview is available at the link. Here is an interesting peace of news – Mozilla is thinking of making an open “Open Web as a platform for mobile devices” as they call it, named Boot to Gecko project. An interesting first look into this project in on lockergnome website – full link : A (Very) Early Look at Mozilla’s Boot2Gecko Mobile OS . Is B2G based on Android? No. B2G uses some of the same low-level building blocks used in Android (Linux kernel, libusb, etc) in order to reduce the burden on ODMs/OEMs to bring up B2G on new hardware. However, B2G is not based on Android, and will not be compatible with the Android stack (in particular B2G will not run Android applications). Freedom From Proprietary Mobile Platforms. Opportunities for Developers – Using HTML5 and the new Mozilla-proposed standard APIs, developers everywhere will be able to create amazing experiences and apps. Customization for OEMs & Operators – OEMs and operators will be able to provide content and services across their entire device portfolio, regardless of OS. Consumer Freedom – Consumers who use devices based on the Open Web platform will be able to easily access and download their own content regardless of which OS they use. This is certainly an interesting project to watch in the future !